Gingerbread Winter Trees ~ Learn, Live, and Explore! 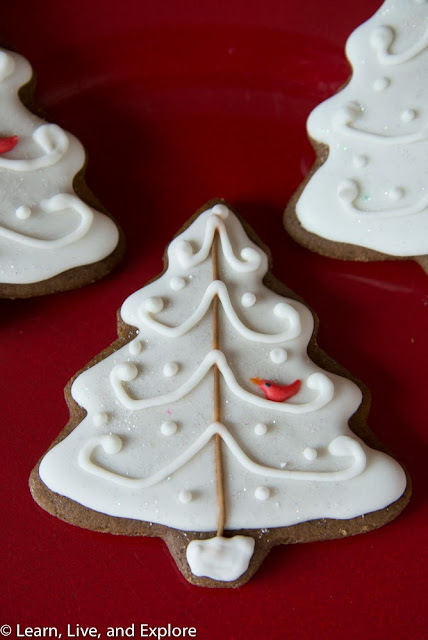 Here is a very simple decorated cookie for you to try!! 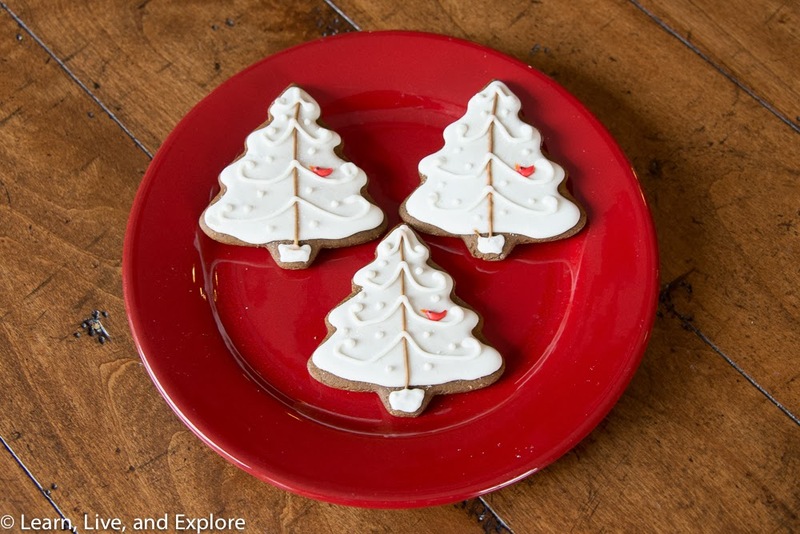 Make some gingerbread tree cutouts and get ready to wow the crowd. First, you will need to get some iridescent edible glitter (try Michaels). Flood the tree in white royal icing. If you aren't sure what I mean by flooding, then read about the 20 second icing Sweet Sugar Belle makes - thick enough to hold a shape, easy to fill. 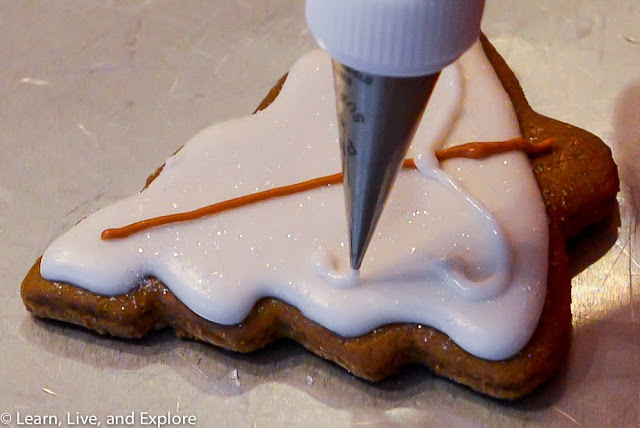 While the frosting is wet, subtly dust with the edible glitter. Allow to dry a couple of hours. Use a piping icing (again, see Sweet Sugar Belle for instructions) died brown, pipe a tree trunk. Allow that line to dry (maybe 10 minutes), then pipe on white "branches" using a curly mustache shape, and don't forget to fill in the white tree stand. Add white dots as well. The final step is the red bird, should you choose to add it for a pop of color.